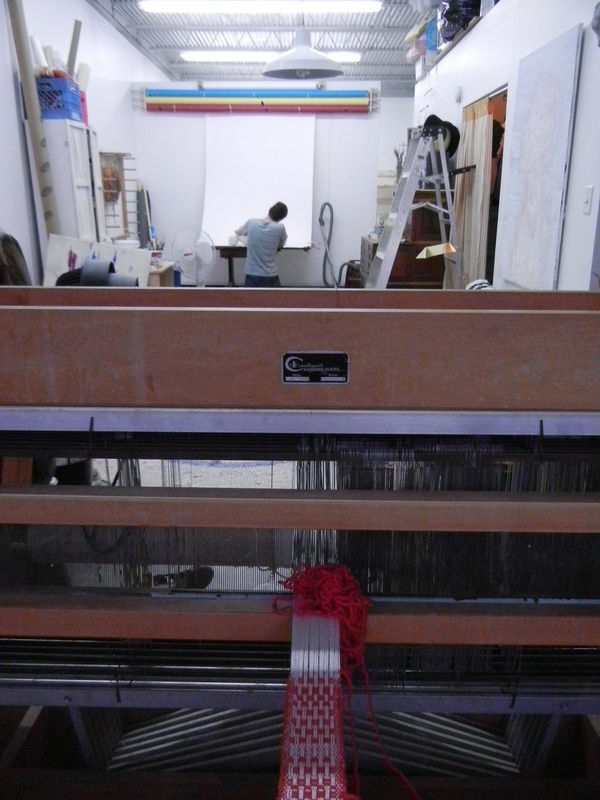 This is the view I have of our house from my loom. At the other end of the room (also the other end of our house) is B’s lighting studio. All of the backdrops have been mounted on the wall and the lighting kit arranged accordingly; usually in a way that blocks our only exit. In between our sides of the studio are the couches. 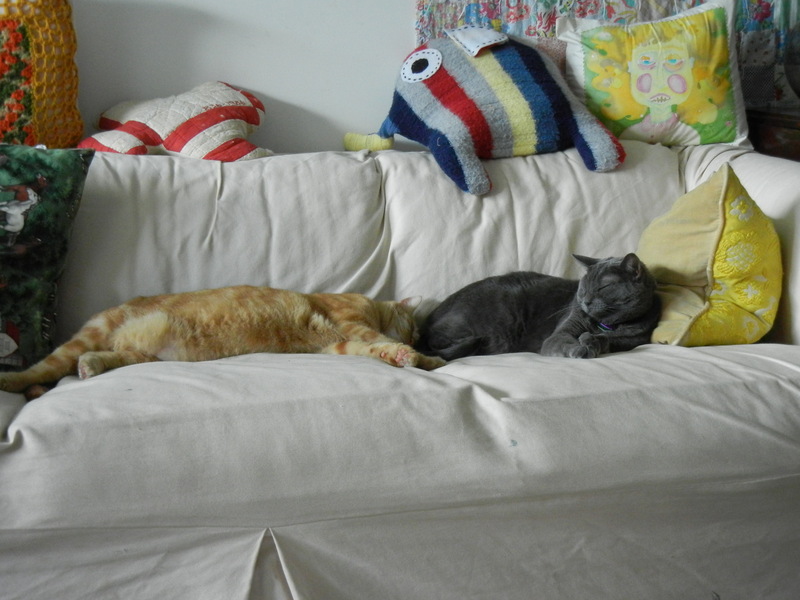 They are the neutral ground between our work zones, but they mostly belong to the cats. 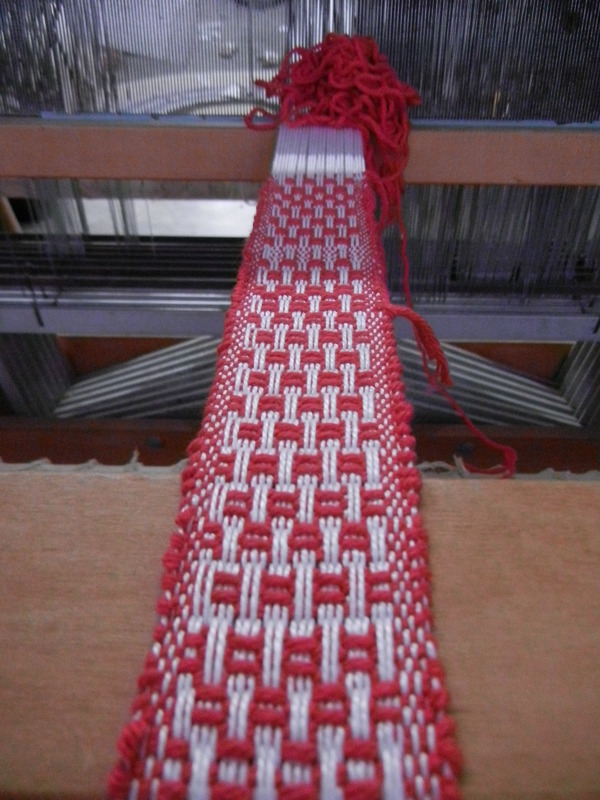 I have since woven this off the loom but I was just playing around with a canvas weave to make sure all of the parts of the loom were working properly. It works pretty smoothly and now there are so many projects that I am anxious to start.